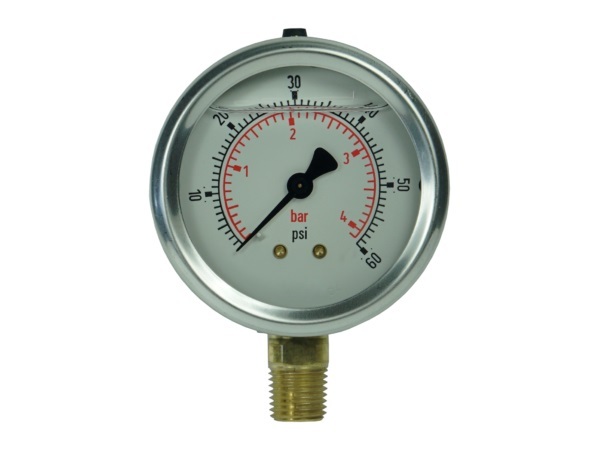 High pressure gauges can be used to effectively read pressures up to 10,000 PSI; low pressure gauges generally measure pressures between 10 and 15 PSI. When gases and liquids are contained in sealed systems or closed vessels, internal pressure occurs. When the atmospheric pressure within an enclosure is below ~14.7 PSI, that enclosure is said to be a vacuum. It is impossible to artificially achieve a pressure of zero, and there are no examples of absolute vacuums in nature or in space. An enclosure can, however, be partially evacuated of its contents. Vacuum gauges are used to measure the extent to which enclosures have been evacuated; they measure low pressure, not negative pressure. Vacuum gauges are made from metal such as stainless steel or aluminum. Some provide analog feedback in the form of a dial while others are digital meters. Gauge specifications include display types, scale types, vacuum range, operating temperature, accuracy and scale units. Dual scale devices provide the pressure reading in two sets of units while differential pressure gauges take and compare two pressure readings. Some vacuum gauges include temperature compensation features to adjust possible errors due to changes in temperature. These instruments play an important role in industrial, manufacturing and scientific applications. Vacuums are frequently used to create cold temperatures for certain processes; without gauges the operator would not know the internal pressure, which can be dangerous and inefficient. Vacuum gauges use several methods to take readings. One way is through a manometer, a U-shaped tube partially filled with a liquid like water, mercury or oil. A change in pressure causes the water column in each side of the U to rise or fall, which is detected by a sensor and then indicated on the dial or screen. Thermocouple gauges use a different technique. They measure the changes in the thermal conductivity of a gas inside a tube. A filament is heated to promote movement. As electrons move from the source (cathode) to the drain (anode) they interact with the gas molecules, making them positive ions. This causes a current that is identified and measured. 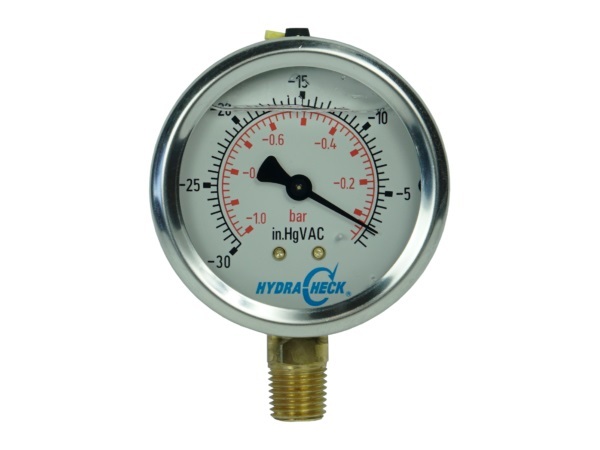 Similar gauges are also available with components that stay cool; this allows them to withstand sudden or prolonged exposure to high pressure gases. Vacuum gauges are also used in automobiles because of the presence of manifold vacuums that draw in air to power the engine of the vehicle. This vacuum regulates the ratio of fuel and air so the engine can run at peak performance. Automotive vacuum gauges help identify the presence of air leaks in the system, which results in a rough idle, poor fuel economy and increased emissions. These gauges are attached to a plug on the intake manifold of the engine. Vacuum Gauges Vacuum gauges are instruments used to measure and display sub-atmospheric or vacuum pressures within a system or vessel.